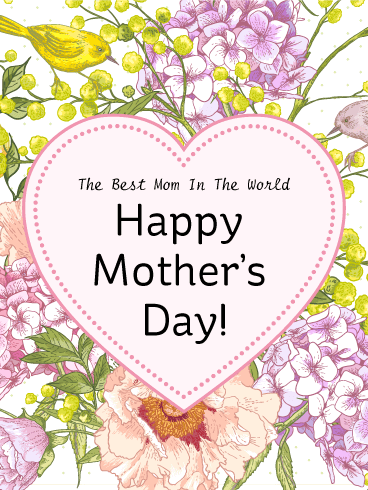 There are lots of Moms out there in the great big world, but you can be pretty sure your Mom is the best in history, right? Well, when was the last time you told her? 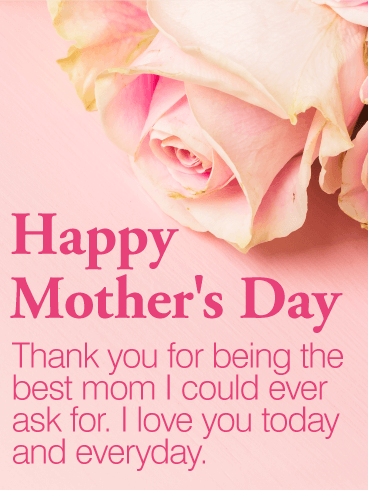 There’s no time better than Mother's Day, and no card more perfect than this one! Happy Mother's Day to the most wonderful mom in the world. 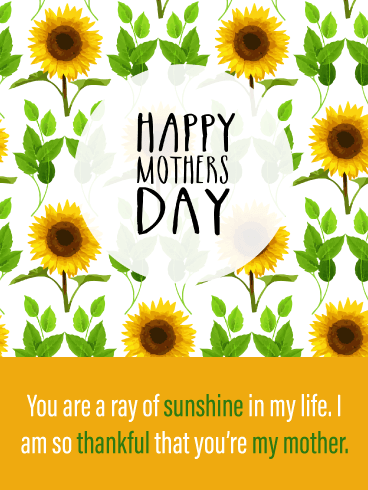 What mom wouldn’t love sunflowers on Mother’s Day? This is a great choice to show your mother how much you love being her son. The flowers are bright and appealing, and the kind words may even make her shed a tear. This card is a real winner. 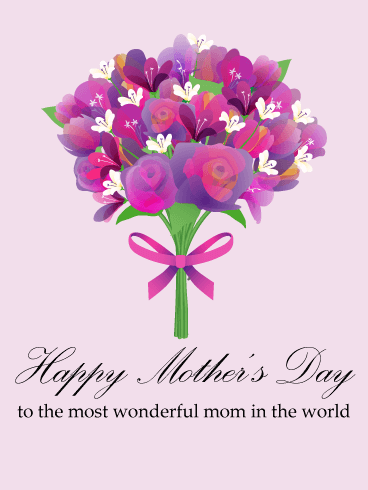 This fun, colorful, abstract card is bound to make a statement on this special day honoring your mom. For the son who wants to let his mom know how much he appreciates her, this is the perfect pick. It’s simple, unique, and sweet enough to make her smile. 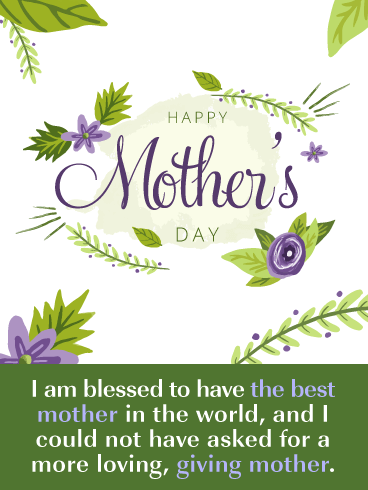 The fabulous green and purple color scheme of this card really makes it stand out amongst all other Mother’s Day cards. If you’re looking to let your mother know how grateful you are to be her son, look no further than this gem. With heartfelt words, beautiful flowers, and an elegant design, she’s bound to love it. 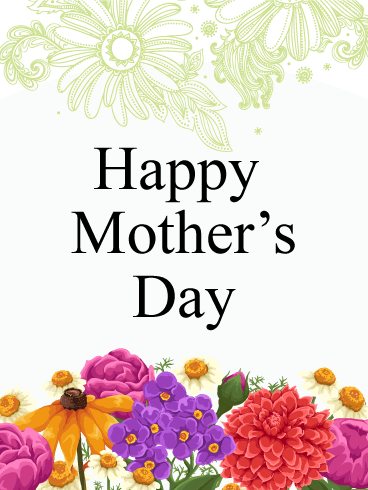 Mom will always welcome a big, beautiful bouquet of flowers. The problem is, they will soon fade away. 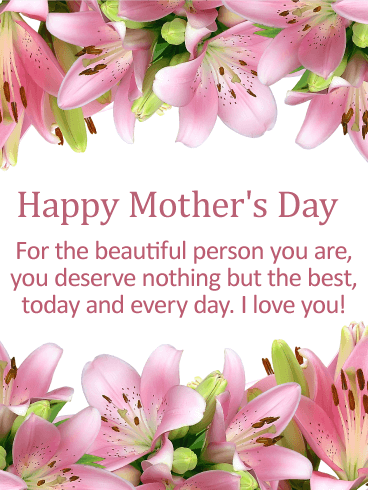 So, an even better way to let Mom know how much you love and appreciate her this Mother's Day is to give her this Mother's day card, adorned with gorgeous everlasting flowers. Mom will cherish it always! If you’re a son with a beach-loving mom, this is the perfect Mother’s Day card to show her how you feel. The picture is adorable, the clear blue skies will have her daydreaming about sunny days by the ocean, and the array of colors makes this card pop. 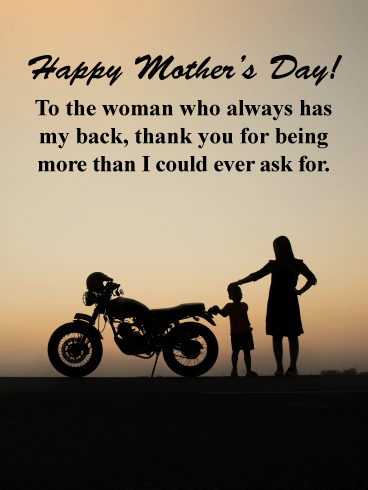 Let’s not forget the kind verbiage that lets your mom know how much she means to you. For a softer, more mellow take on a Mother’s Day card, check out this awesome, one of a kind pick. 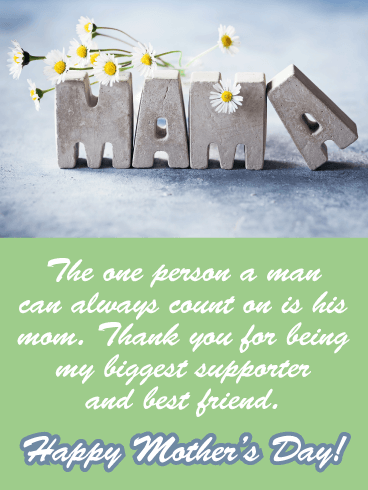 The silhouettes of the mother and son are perfect for your mom on her special day, and she’ll love the sweet sentiment behind the card. 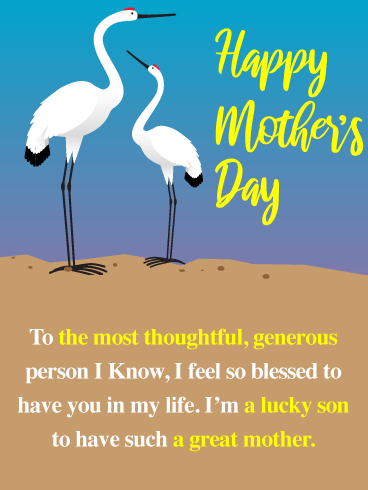 This awesome Mother’s Day card is perfect for the son looking to add a bit of humor to his mom’s special day. 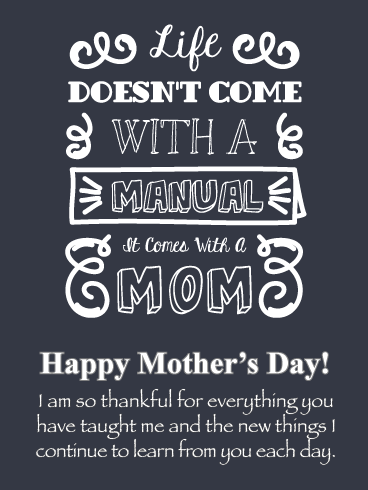 Comparing your mom to a manual shows just how much you value her. Combine that with the thanks offered on the bottom of the card and you’ve got yourself a great pick. 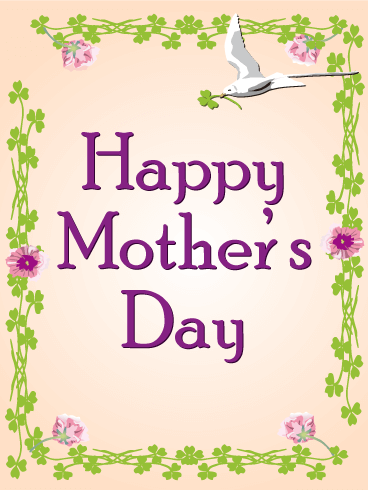 This fabulous Mother’s Day card is sweet and simple. It can be difficult to find a card for this holiday from the perspective of a son, but this card does the trick. The picture is eye-catching without being over the top, and your mom is sure to love being called your best friend!